Steve (pictured here with Mack) graduated from the University of Melbourne Veterinary School in 1985. His first year out of vet school was spent in a mixed practice in Casterton in the Western District of Victoria, and this was followed by a year in Deniliquin, in the Riverina. From there he moved to Murwillumbah on the far north NSW Coast, initially to locum for a few months, but ended up staying 10 years! 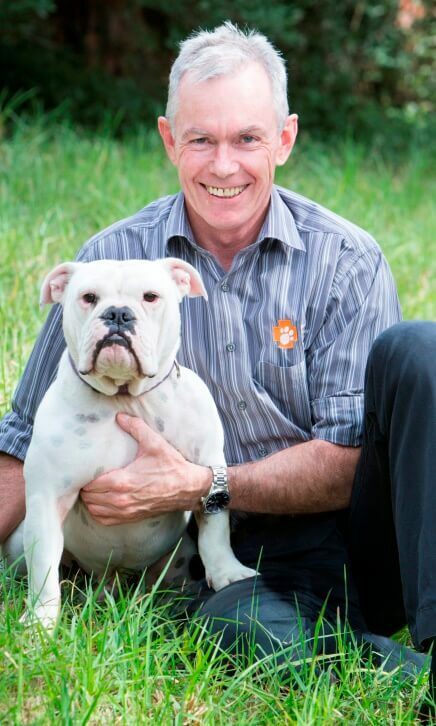 During his years in Murwillumbah, Steve worked initially as a mixed practice vet, but became increasingly small animal oriented with a strong interest in surgery, and emergency medicine. Towards the end of his stay in Murwillumbah, Steve started studying for his membership examination of the Australian College of Veterinary Surgeons, initially under the tutelage of Dr Geoff Robbins. He attained his membership in 1999, 6 months after moving back to Melbourne. Since moving to Melbourne in late 1998, Steve has worked solely in small animal practice, first doing locums then settling at Eltham. 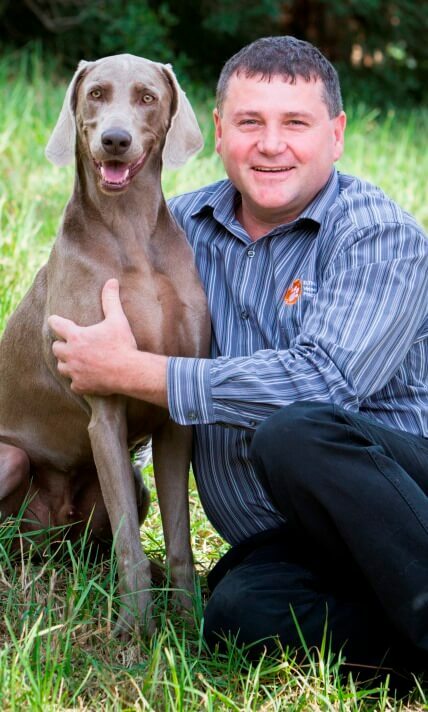 For over16 years he has been at Eltham Veterinary Practice (Clinic), having succeeded Dr Daryl Hoffmann. Membership of the Australian College of Veterinary Scientists in Small Animal Surgery 1999: (Surgery). He speaks to classes at several local schools as part of the AVA Petpep childrens education program on pets in society. He has hosted local client nights on Animal Behaviour issues and Senior Pet Preventative Health with Dr Robert Holmes as guest speaker. He is a member of the AVA, the Australian Small Animal Veterinary Association, the AVPMA, the AVBA, of which he is a board member , Vetcentric (also an advisory board member), the Victorian branch of the AVA, and Melbourne Metropolitan Practitioners Branch of the AVA. His aim at Eltham Veterinary Practice is to provide high quality compassionate care for family pets, as well as the most up to date and optimal choices for their health. He consults closely with specialists in all aspects of veterinary medicine and surgery. Steve has a particular interest in surgery, including TTO surgery for cruciate ligament rupture in larger dogs, cancer care, eye and skin diseases, and he specialises in British Bulldogs as he owns 2. Steve, his wife Clare, and 2 sons have Bulldogs Martha and Mack, and a cat Reg. In his spare time you might find Steve out on the golf course, watching his sons’ numerous sporting events, out for dinner, or at the footy watching the Bombers. As I kid, I always wanted to work with animals and I was good at science, so being a vet was a great choice for me. As a vet, I get to share the journey of your pet from establishing the basics for good health in puppy and kittenhood, keeping them free from disease and fixing their injuries throughout life and helping them grow old happily and in comfort. Every job has its good and bad and sometimes I share your tears when we can’t fix things. On the whole this is a great job and I enjoy to make a positive difference to the pets we see. I must admit that I love coming to work here. The clients are great and the staff are fantastic. My wife and 2 children are proud of what I do; so, what’s not to love about my job. Dr Melanie Roads joined our veterinary team in early 2014 after graduating with Honours from the University of Melbourne in December 2013, and having a great holiday in Africa and the UK in between. 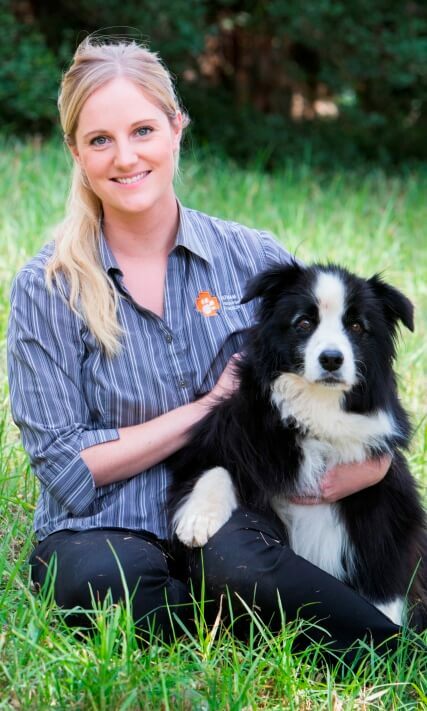 Melanie has always had a passion for animal care and worked as a veterinary nurse for 6 years during her studies. 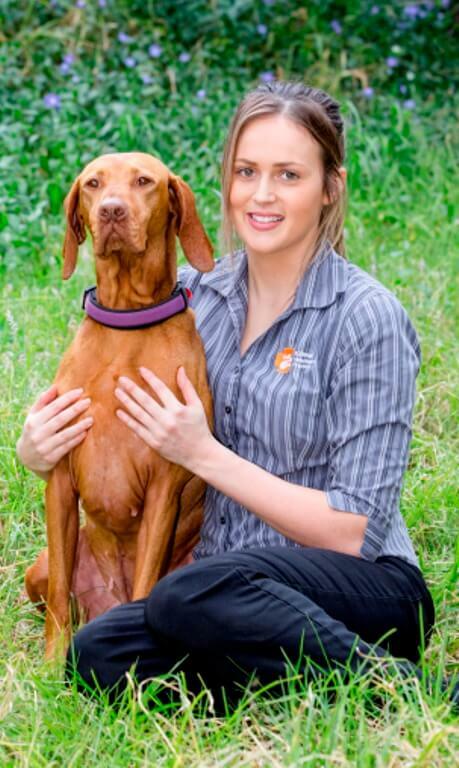 Melanie most enjoys dog and cat medicine and surgery, but loves working with all creatures great and small. Outside of work Melanie enjoys hiking, camping, cooking and spending time with her pets – two lovable Labradors ‘Oliver’ and ‘Tilly’ and her feline fluff ball ‘Ayla’. Melanie is always delighted to meet people and their beloved pets. Eden is a Diamond Creek girl who knows and loves the Eltham area. Eden desired to become a vet from a very young age and spent much of her childhood caring for wildlife, including housing bees overnight in homemade enclosures and feeding them sugar syrup until they were recuperated! It was her strong compassion that drove her desire to become a veterinarian. After 6 years of study, Eden graduated from the University of Melbourne with First Class Honours in the Doctor of Veterinary Medicine. She has been lucky enough to spend the last 3 months travelling abroad through Central and South America with her partner before joining our team. While travelling has been an unforgettable adventure, there is no place like home. In her spare time Eden loves going camping along the coast, having brunch with friends and spending time with her very mischievous Jack Russell named Archie! She’s looking forward to meeting new clients and their furry companions in the local community and hopes to have a long and fulfilling career in veterinary medicine.